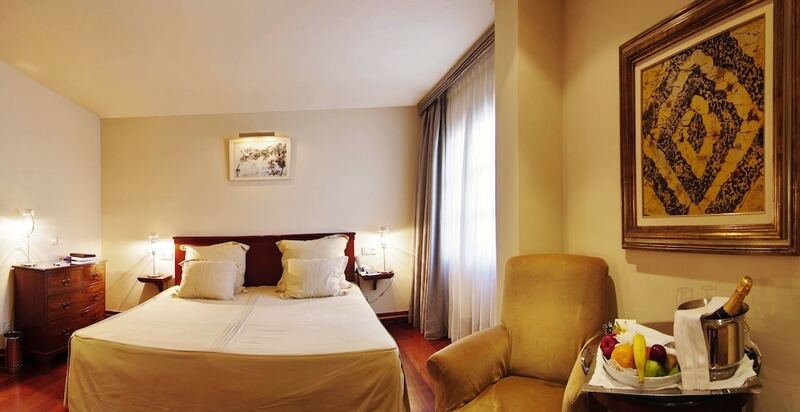 Palacio Ca Sa Galesa Hotel is a five star hotel with luxurious decor of Art Nouveau style. It is located in one of the best areas in the Centre of Palma Mallorca within walking distance from attractions such as the Church of Santa Eulalia, The Cathedral of Mallorca, The Basilica of Saint Francis and the Town Hall of Palma. Each of the rooms has a unique decoration and in addition they are equipped with modern amenities such as comfortable beds, sofa, minibar, TV with DVD player, free Wi-Fi Internet access, working area with desk and private bathroom equipped with all kinds of accessories for your personal hygiene. Daily cleaning of the rooms is done. The hotel boasts the best in leisure facilities for its guests with a spa offering a variety of body treatments and massages. In addition it also offers access to recreational facilities including a swimming pool and hot tub. If you are wanting to dine you can do so in the hotel's elegant restaurant , which offers a variety of delicious dishes and drinks in the menu à la carte. The reception staff provide 24 hour care. Offering additional services such as Internet access in public areas, Babysitting service, receipt of baggage and airport shuttle (upon request).